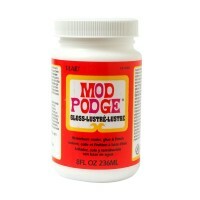 Mod Podge is one of the most popular decoupage glues available. 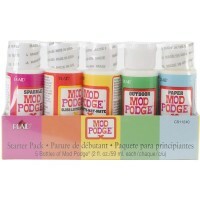 Manufactured and made available by Plaid, Mod Podge is often used as a synonym for decoupage by people. 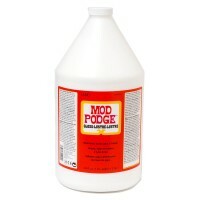 Some people also use it to describe any adhesive used for decoupaging. 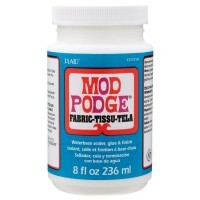 Mod Podge is an all-in-one sealer, glue, and finish used for creating decoupaged works of art. 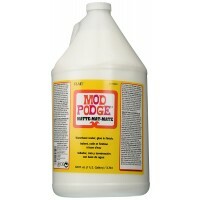 It can be used for paper, wood, fabric, and other porous surfaces. It dries clear and holds tight. You can get it an a variety of styles such as glossy, matte, outdoor, glitter, hard coat, fabric, glow-in-the-dark, and more. 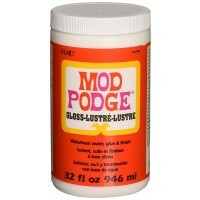 MOD PODGE GLOSS 32 OZ. 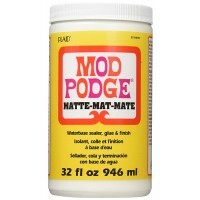 MOD PODGE MATTE 32 OZ. 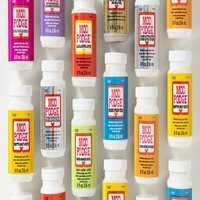 MOD PODGE ANTIQUE MATTE 8 OZ.